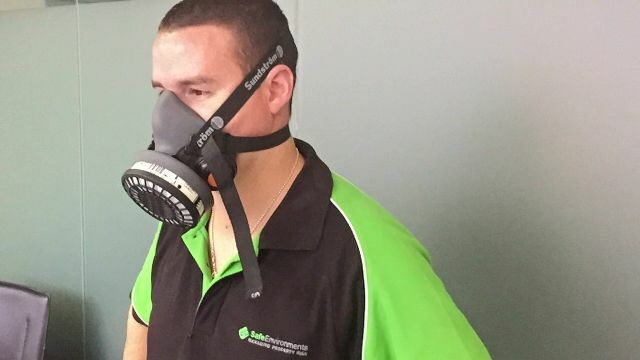 Safe Environments provide respirator fit testing services throughout Australia to ensure that workers are protected from harmful airborne contaminants. 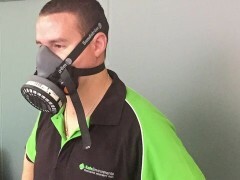 The purpose of the respirator fit test is to assess the effectiveness of the Respiratory Protective Equipment (RPE, also known as a face or dust mask. 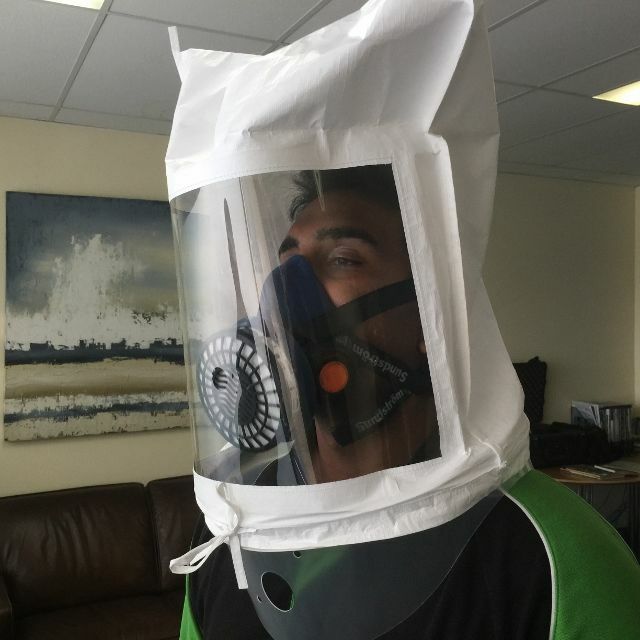 The qualitative fit testing is only suitable for determining respiratory protection factors up to 10 times and is conducted to AS/NZS 1715:2009 Selection, use and maintenance of Respiratory Protective Equipment. If the workers facial features change, then the test needs to be conducted to ensure there is adequate protection provided. This is assessed by subjecting a person to an airborne concentration of a sweet or bitter test solution that is close to the subjects detection limit. 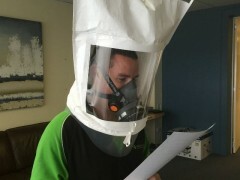 The Respiratory Protective Equipment is then worn, and again the test person is subjected to an airborne concentration of the same solution 10 times greater. 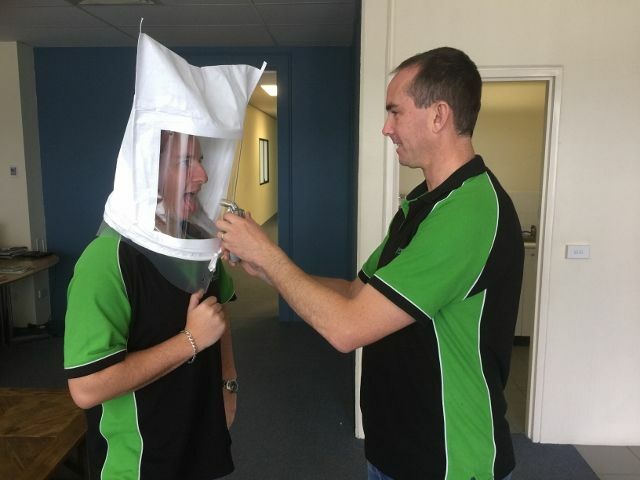 If the test subject cannot detect the airborne concentration of the test solution through taste, then the Respiratory Protective Equipment provides a protection factor of 10 times. 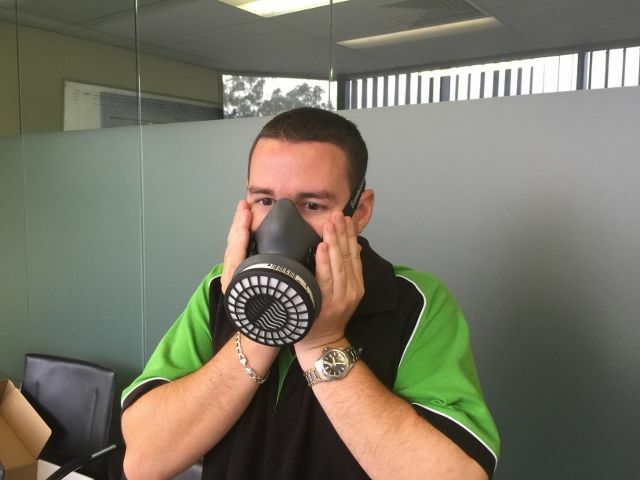 Before the actual fit testing procedures is undertaken, a sensitivity test is required. The sensitivity test is to check that the worker can detect the fit test solution in the air. This is detected through tasting the air with the tongue out while a sodium saccharin or bitrix solution is sprayed within the breathing zone. The positive pressure fit check is conducted by the subject holding their hands over the exhaust valve, or over the whole filter in the case of a disposable respirator. The subject then breathes out gently and there is a check to see whether there is a stream of air ejecting from the side. This indicates that there may be a poor face seal to the respirator. The negative pressure fit check is similar except that the inlet valve(s) or whole filter is covered and the subject breathes in. For a half facepiece, the breath is held for about 10 seconds to determine whether there is leakage around the face seal. 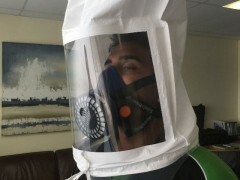 For a disposable face mask or respirator, the subject breathes in quickly, in which the respirator should collapse and there shouldn’t be a stream of air detected. A hood or containment area is placed around the head of the subject for testing with the respirator on. A solution of sodium saccharin solution of 83 % by weight in water is sprayed using a nebuliser or similar. This is injected first with the number of puffs that were required for the sensitivity test and then half the amount for every 30 seconds within the contaminant area. This is to ensure that the airborne concentration is maintained. Any other activity that may compromise the integrity of the seal. This may include bending down to reach tools and the like. Finally, the face seal is broken and it is then checked that the subject can taste the solution in the air, if they cannot, then the test needs to be repeated. If the subject cannot taste the solution in the air, then the respirator is suitable to protect people up to 10 times. 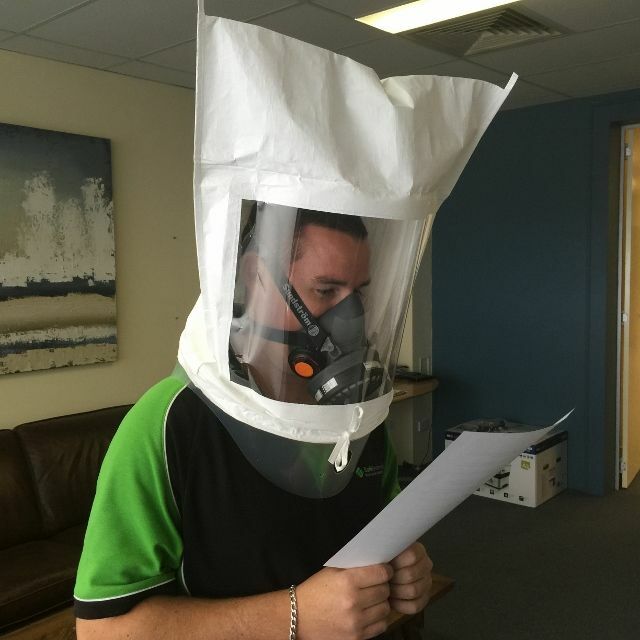 For more information on respirator fit testing to the Australian Stadnard AS/NZS 1715, call Safe Environments to ensure that workers are protected. We can come to your site in Sydney, Melbourne, Canberra or anywhere in Australia.